When you live in a snowy climate, learning to drive in bad weather conditions is a part of everyday life in the winter. Not only does snow make it difficult to see, but slippery roads and black ice are also factors that contribute to accidents. Not even seasoned drivers are immune to making a few mistakes when driving in snow. Learn everything about Colorado chain law passenger vehicles here. According to a study by the University of California at Berkley, adverse weather conditions cause more than 1.5 million motor vehicle accidents each year. 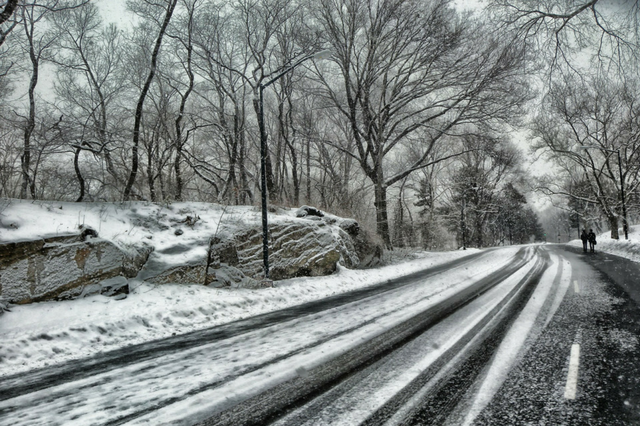 It’s likely been several months since you last weathered the snowy roads, so your winter driving skills are a bit rusty. The first snowfall is often the most dangerous day to be on the road as most people forget to allow more time for braking. Most vehicles may still have summer tires on which just adds the problem. It’s a good idea to begin winterizing your car in the fall and use all-weather or winter tires if possible. Remember to pack a winter emergency kit which includes warm blankets, a spare tire, an emergency kit, a shovel, and water. Having four-wheel or all-wheel drive gives some drivers a false sense of confidence. While these features can help you get through some snowy ruts and bumpy roads, it doesn’t improve your braking ability if you hit a patch of black ice. Make sure you drive at a reduced speed when there’s snow on the ground. Tailgating in any weather is never a good idea, but it’s an especially dangerous in snowy weather. The time it takes for your car to come to a complete stop increases dramatically when the roads are slippery. To play it safe, double or triple the distance you would normally keep between cars in the winter. Any sudden movement from your vehicle can send it careening across the road in icy conditions. If you hit a patch of ice, don’t slam on the brakes. Instead, keep your steering wheel straight and slowly decelerate by releasing the gas pedal. Many drivers continue to drive the same speed in snowy conditions as if it were a sunny summer day. Speeding gives you less time to respond and brake properly. Many drivers feel obliged to at least maintain the speed limit. However, when the roads are slippery, common sense trumps the posted speed. It’s better to slow down and be patient. To brush up on your winter driving skills, a defensive driving course may be just the thing to keep you safe on the road. Utilize Western Slope Driving Institute’s precision skills track where you can practice threshold braking, gap control, and shuffle steering to maintain control of your vehicle in all types of weather and road conditions. And learn everything about Colorado chain law.